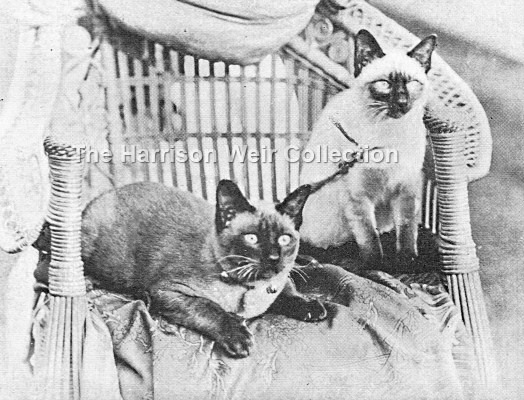 Here we have a rare photo of two of the Hon.Mrs McLaren Morrison's favourite Siamese cats (as yet unidentified). This photo appears in 'CATS: Show and Pet' by C.A.House, published in 1903. It is an excellent graphic representation and a true record of classic Siamese as they were in that era. Book and photo image are from The Harrison Weir Collection archives.